Shanghai Disneyland is the newest Disney Park and the first in Mainland China. The Park opened officially on June 16, 2016. 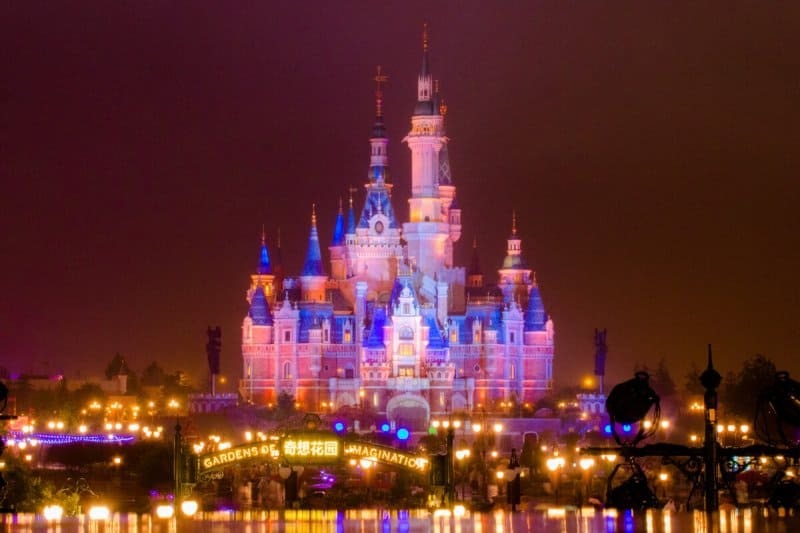 Shanghai Disney Resort is in Pudong, Shanghai, China, and includes the theme park, Disneytown, Wishing Star Park, the Shanghai Disneyland Hotel, and the Toy Story Hotel. Over the past two years, the Park has gone through rapid changes, and it’s exciting to watch this park evolve. This does make for a challenge when planning a trip, though. Our updated guide gives you the latest tips, recommendations, and information to help you plan the perfect trip. I recommend getting the Lonely Planet Guide to further research if you’re spending time in the city. It’s worth visiting the city of Shanghai for a few days. I’ve made multiple trips to the Park since the Grand Opening (I’m based in Tokyo, Japan) and have stockpiled a long list of items to add to this guide. 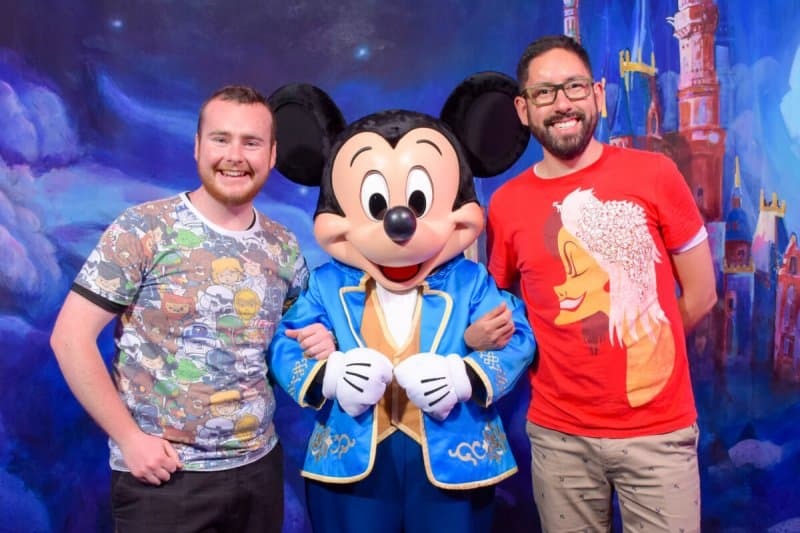 Many Explorers make Shanghai Disneyland part of a bigger Disney Asia Trip (Hong Kong Disneyland & Tokyo Disney Resort) to make it easier when it comes to Chinese Travel Visas (Don’t worry, I’ll explain this). Once you’re done studying this guide, you’ll feel as if you’ve visited since 2016! I have to stress that you’ll need to understand how travel visas work for Mainland China. Otherwise, you may be denied entry into the country. While I don’t know of this happening to anyone personally, I don’t want it to happen to you. Please read this section carefully. Have your hotel reservations and flight information printed out in advance. Make sure your name in your passport matches what’s on the hotel reservation and flights. For hotel reservations, have everyone’s full name on the reservation (matching their passport). For the Disney Hotels, you may have to call (use Skype) to add additional people’s names on the reservation — they’ll e-mail you the newly updated reservation. In order to get the transit visa, you have to prove you are transiting through China (meaning you have a flight already booked to leave China). This means you are flying from Point A to Point B (Shanghai in this case) to Point C (can be anywhere but Point A). This is why having Shanghai Disneyland part of a bigger trip makes it easier. You can fly into Shanghai and get the transit visa, then fly to either Hong Kong or Tokyo. The biggest decision to make is when to visit. You’ll have to take into account public holidays and weather, along with personal preferences. These factors affect the crowd levels. I recommend at least 2 days to enjoy everything the Resort has to offer. An excellent rule of thumb is to avoid public holidays. The Park is crowded and in some cases reaches capacity. Chinese New Year and National Day are the biggest holidays in the country and last about a week. The climate in Shanghai is distinct in its seasons. This means the winters are cold and the summers are hot (similar to Japan). The summer is hot and humid (June-September) and temperatures on average 35°C (95°F) and the winter is uncomfortable (December to February) getting down to 0°C (32°F) in the evenings. Weather-wise, Autumn is mild. Even on a normal day, it’s not uncommon to see higher wait times across the board on a weekday. 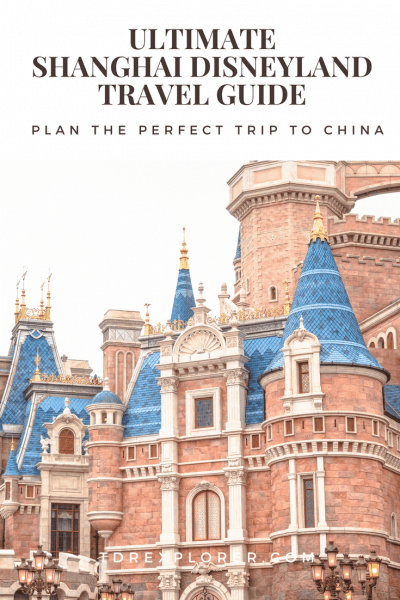 There’s no crowd calendar for Shanghai Disneyland, but in this section I’ll explain the best and worst times to visit so you can avoid the crowds and have ideal weather. During these months you’ll have comfortable weather. While it’s a bit cooler in March, you’ll visit right after Chinese New Year and the crowds are on the lighter side. As for October, avoid the first week as this is National Day, but if you visit afterward the crowds are gone. If you don’t mind the cold, then December and January are another good time to visit. The temperatures during this time get as low as 0°C (32°F). For specific days during the week, I recommend Tuesday through Friday. On weekends and public holidays, Park tickets are more expensive compared to weekday tickets (more on that in the ticket section). Mondays are generally busier due to people who want to avoid paying the higher price for a weekend ticket. 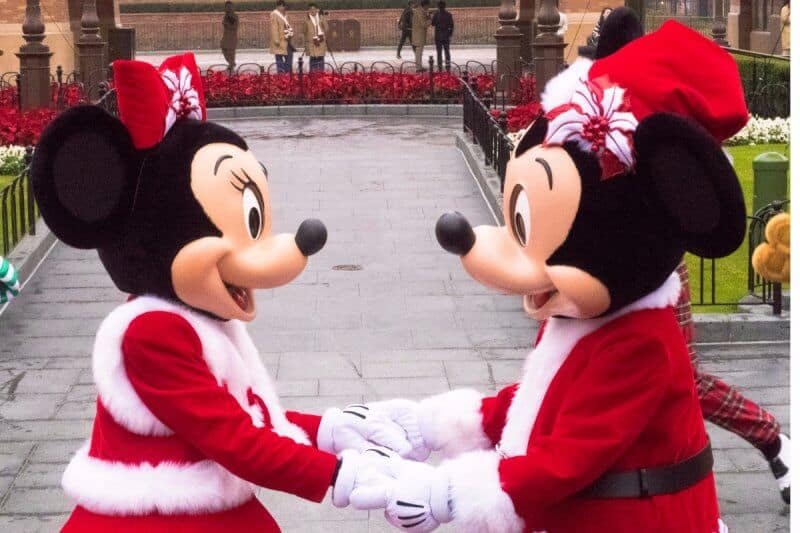 You’re best to avoid both of these major holidays if you plan on visiting Shanghai Disneyland. Chinese New Year (sometimes called the Spring Festival) changes each year, but is usually in January or February. This is the most important celebration in China and is a family holiday. These means a lot of families visit Shanghai Disneyland during this time. Summer holidays for most students are in July and August. Not only is the Park busy, it’s the hottest time of the year and is unpleasant. National Day is another week-long holiday in China and is in the first week of October. As a reminder, always remember to check the public holiday calendar before you decide on exact dates. Shanghai Disneyland offers seasonal events with limited-time food, decorations, character greetings, and entertainment. The only downside is, unlike Tokyo Disney Resort, the Park doesn’t announce event dates far in advance. It’s not uncommon to have an announcement a week or two before the event begins. It’s best to check our latest news closer to your trip. 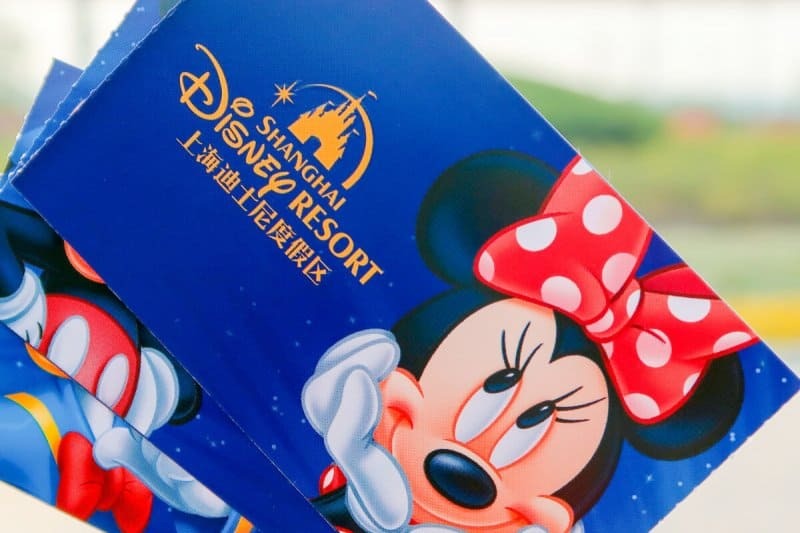 Shanghai Disneyland offers both 1-day and 2-day Park tickets. There are two different tiers of tickets which vary in price — Standard (weekday only) and Peak (weekends and public holidays). Always check the official website for the current prices. Keep in mind if you buy your tickets online, you’ll have to show your passport at the ticket gates on the first day (after that you won’t need to). However, if you buy your tickets with your Disney Hotel reservation, you won’t have to show your passport at the turnstiles (this is taken care of at the hotel). If you’re visiting Shanghai Disneyland for more than 3 days on weekdays (non-holidays) then it’s worth considering the Seasonal Pass. These passes are good for unlimited entry for a span of a few months. These are offered at various times throughout the year, so it’s best to consult the official website. There’s no annual pass option. 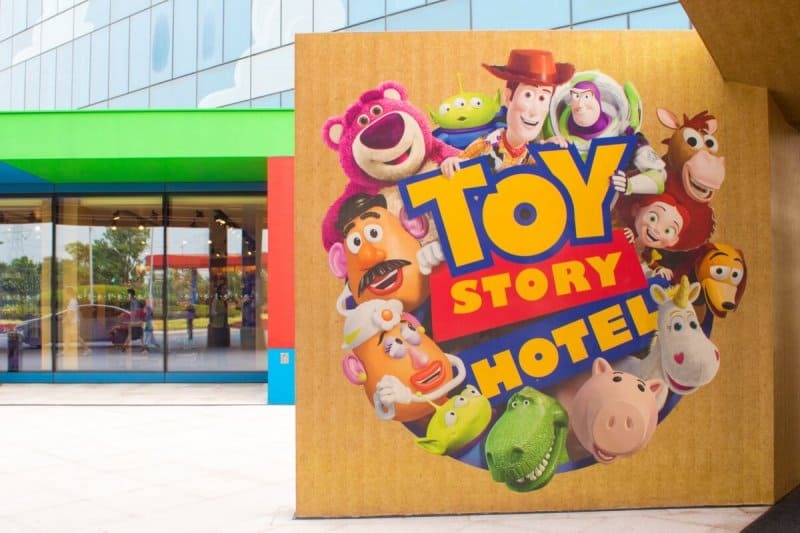 Shanghai Disney Resort offers two Disney Hotels — the Shanghai Disneyland Hotel (starts at about $260 USD per night) and the Toy Story Hotel (starts at about $135 USD per night). You’re able to book hotels 6 months in advance. Both hotels are fantastic and offer character greetings and restaurants. If it’s within your budget, I recommend staying at either of these hotels. Getting to the Park from within the city isn’t the easiest and much like Tokyo Disney Resort, you’ll want to get to the Park at least 30-60 minutes before it opens. In my opinion, the 30-minute early entry is enough to justify spending extra on staying at one of the Disney Hotels. The main entrance into the Park is unpleasant, crowded, and takes anywhere between 30 to 60 minutes to get into the Park (depending on the crowds). You have to go through security first then through the ticket turnstiles before you’re even in the Park. For hotel guest early entry, you go through the Disneytown entrance 30 minutes before the Park opens (you enter close to Tomorrowland). 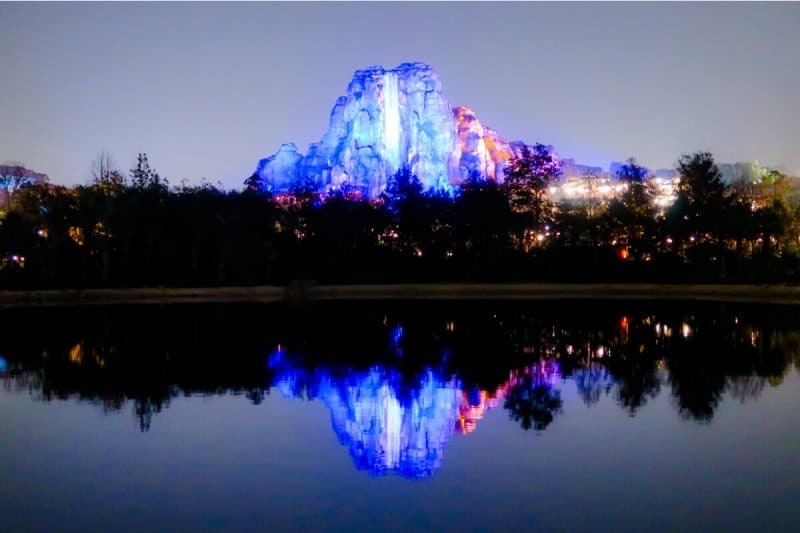 You’re able to begin reserving FastPasses (see our FastPass section for more) and knock out the bigger attractions quickly. I’ve done this a few times and now I won’t ever want to use the main entrance again. The additional FastPass is given to you and your party for the following day. This only applies if you bought your tickets with your hotel room. The Courtyard is my top choice for an offsite hotel. It’s near Shanghai Disney Resort and offers a free shuttle to/from the Park. The only downside is, if you want to do anything in the city, you’ll have to take the free shuttle to the metro (it’s not walking distance). 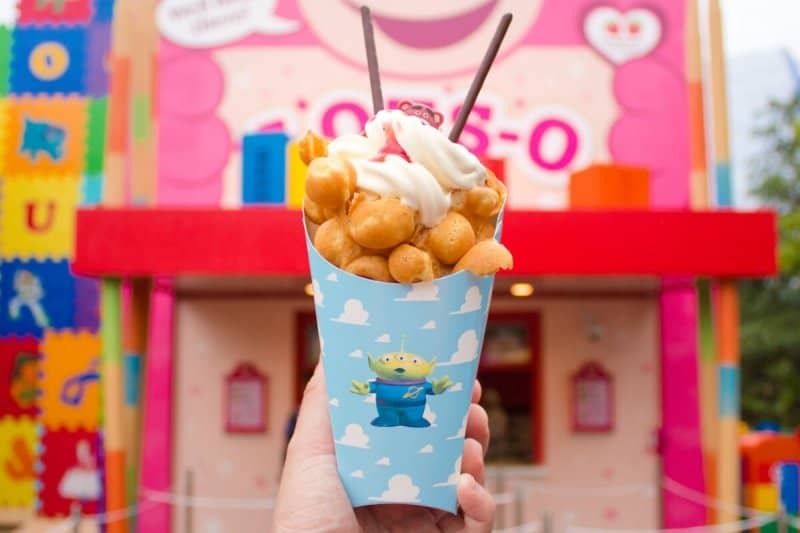 Lotso Bubble Waffle at the Toy Box Café in Toy Story Land is one of my favourites! 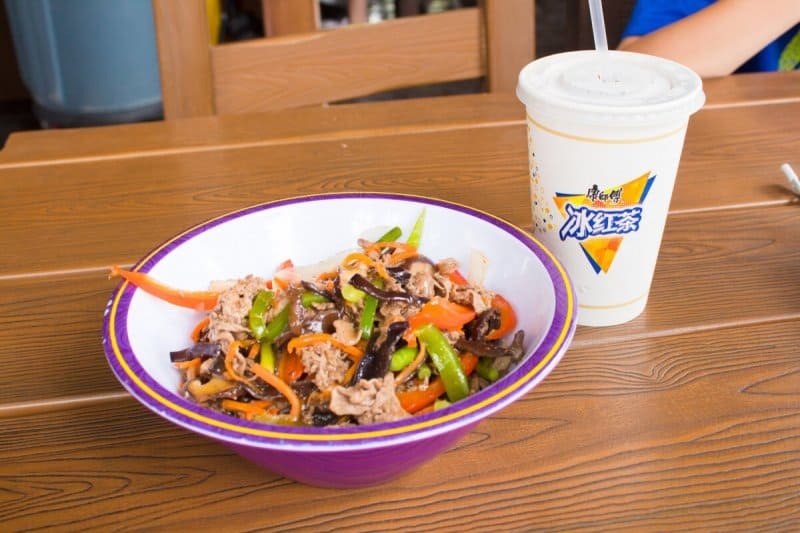 Restaurants in Shanghai Disneyland Park and hotels are a mixture of Chinese, Western, and International cuisine. These restaurants range from buffets, table, and counter service. Disneytown (Shanghai’s version of Disney Springs or Downtown Disney) has a wide range of dining options, too, including a Starbucks. You’ll also find a range of different snacks throughout the Park, including theme park staples such as popcorn, ice cream, waffles, and turkey legs (which garner long lines, oddly enough). One important note is the tap water in Shanghai is not suitable for drinking (brushing your teeth with tap water is okay). You’re given free bottles of water in your hotel room. The water stations inside the Park are safe for drinking. Also, you won’t find any Coke products; it’s all Pepsi products and Pepsi Max. Both Tribal Table and Wandering Moon Restaurant offer a vegetarian option. I am not aware of any vegan-friendly options in the Park. If you have food allergies, most restaurants are able to accommodate. You’ll have to consult with each restaurant individually (there’ll be a Cast Member who speaks English in most cases). I also recommend getting food allergy cards (I haven’t used this service, but I did some research and read positive things). If you have severe allergies, then the information in this Reddit thread helps. Shanghai Disneyland offers some of the best and most modern Disney attractions in the world. Without a doubt, these attractions are part of the main reason why you’re making the journey to Shanghai. The best rides — in my opinion — include Pirates of the Caribbean: Battle for the Sunken Treasure, TRON Lightcyle Power Run, and Camp Discovery. A FastPass shortens your wait time for an attraction. You’ll have to make a FastPass reservation either through the official Shanghai Disneyland App or the dedicated kiosks around the Park. It’s included with your Park admission at no extra cost. Knowing how to use the FastPass system and having a strategy can make or break your day. Read my field-tested FastPass strategy that explains everything you need to know, including what the best rides are. 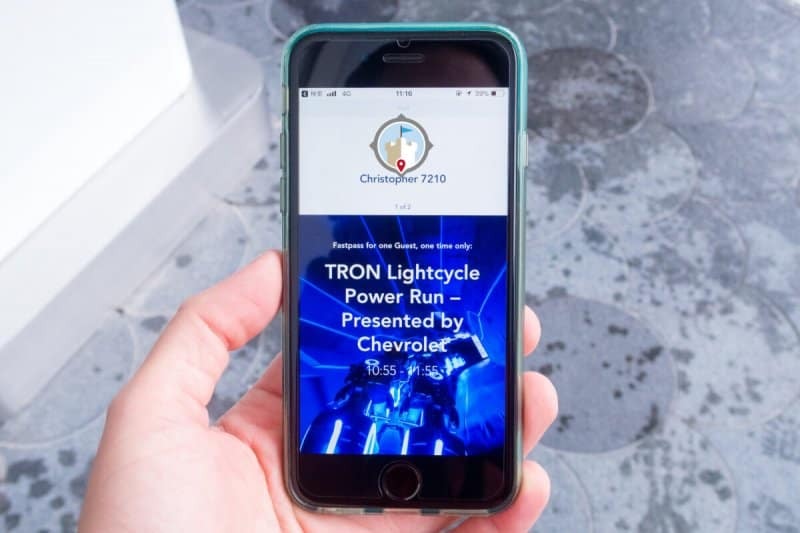 You’ll reserve FastPasses through the official app. The free wi-fi in the park works. This is the paid FastPass option which allows you to gain access to the FastPass lines for certain attractions. If this is a once-in-a-lifetime trip or you don’t want to deal with long lines, then this is perfect. 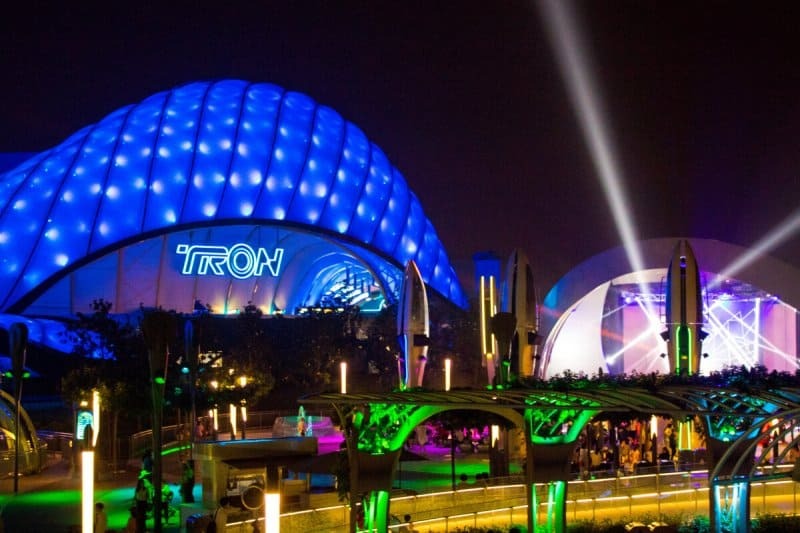 This article explains how to use the Disney Premier Access. The fireworks spectacular Ignite the Dream is a perfect way to end your day at the Park. This doesn’t rival Disney Dreams over at Disneyland Paris, but for their first fireworks show, it’s marvelous. I prefer watching the show from the end of Mickey Avenue and not from the Gardens of Imagination. The reason for this is the Gardens become intensely crowded and I find this unpleasant (you’re also told to sit). Parades are a passion of mine and while Mickey’s Storybook Express is not the best parade, the music gets you moving. 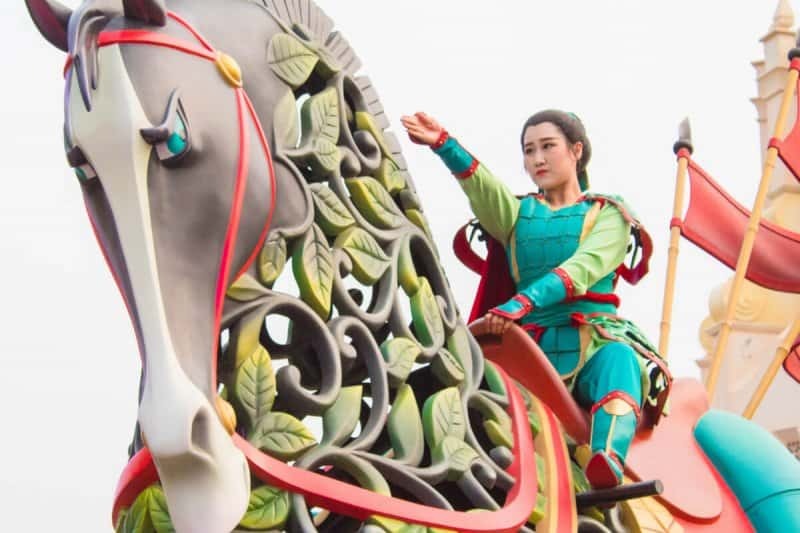 A standout feature of this parade is that Mulan makes an appearance as her warrior alternate ego, Ping, and comes in riding on her trusted companion, Khan. The parade route is long, so finding a decent spot to stand is easy. Captain Jack’s Stunt Spectacular is an over-the-top stage show that is worth watching. Even though the entire show is in Mandarin, there’s enough action that you won’t notice you have no idea what anyone is saying. The best way to describe Tarzan is, it’s a light version of a Cirque du Soleil show. Then one of my favourites is the Golden Fairytale Fanfare in front of the Enchanted Storybook Castle, which is a stage show with gorgeous costumes, music, and appearances by quite a few Disney Characters. Always check the official website for showtimes. Shanghai Disneyland features quite a few character greetings throughout the Park, from Marvel and Star Wars characters to Duffy the Disney Bear. The greetings that are outside (mainly in Mickey Avenue) are quite popular and have long waits. It’s best to ask a Cast Member what time a character comes out. Disneytown is Shanghai’s version of Downtown Disney or Ikspiari at Tokyo Disney Resort. It offers a variety of shopping and restaurants, including The World of Disney Store, Starbucks, and The Cheesecake Factory. Here, you’ll also find the newly debuted Beauty and the Beast Broadway show. 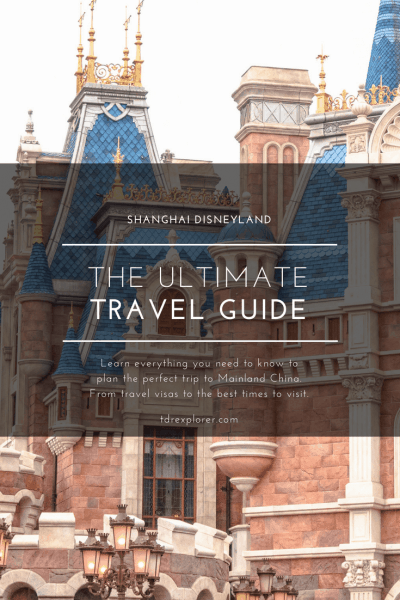 Here are tips and advice to make your time at Shanghai Disneyland less stressful and more enjoyable. When flying into Shanghai, you land either at the Pudong International Airport (recommended) or Hongqiao International Airport. The easiest and quickest way to the Disney Hotels and the “Courtyard By Marriott Shanghai International Tourism and Resorts Zone” hotel is by taking a taxi. A taxi to the area is anywhere between 140 to 160 RMB ($20 to $25 USD). Only take taxis from the taxi stand at the airport (follow the signs). You’ll have people come up to you asking you if you need a taxi, ignore them and go to the taxi stand. This way you know you’ll get a reputable taxi. If you go with anyone who approaches you, you’ll likely be overcharged for your taxi. I was quoted 400 RMB ($60 USD) for a taxi to Shanghai Disneyland Hotel, which is obviously a rip-off. Have your hotel name written in Mandarin (Chinese) to show the taxi driver. Taxis will only take cash, so make sure you have some on you. There’s an HSBC ATM just outside of immigration (before you leave into the arrivals area) where you’re able to take out cash if your card is on the Visa Plus network. To get back to the airport, ask the concierge to call you a taxi. They’ll make sure you get a legitimate taxi. Ask the concierge to write down how much the trip costs. This way there is less chance of a dispute if the taxi tries to overcharge you. A taxi ride from the Disney Hotels costs about $20 USD. 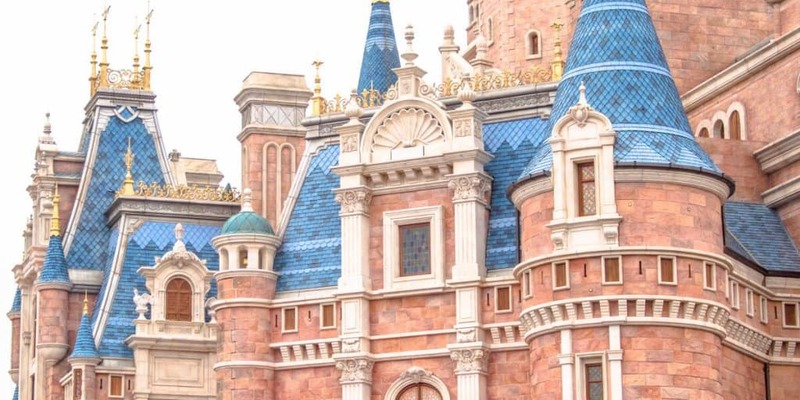 Using the Internet is troublesome in Mainland China, and Shanghai Disneyland is no exception. The Great Firewall of China, as it’s known, prevents websites, apps, and services such as Twitter, Facebook, Instagram, Google, and a plethora of other sites from working while in the country. Even if you have a foreign phone, you are not exempt from this. However, iMessage and FaceTime work without any issues. If you need to communicate with others then download WeChat for iOS or Android (it’s the most popular messaging platform in China). Disney Hotels and Park have free wi-fi, but websites are blocked here, too. The official app does work on this wi-fi, however. To access blocked websites while on these wi-fi networks, you’ll need to install a VPN. I recommend ExpressVPN and have used it while in China. Keep in mind that the wi-fi in the Park isn’t reliable and I don’t recommend relying on it. If you’re with T-Mobile in the US, they offer an international roaming package (you’re able to access all your apps and websites). The only downside is it’s 2G, which means it’s incredibly slow and not ideal for sharing video and photos. If you have an unlocked smartphone, there’s a simple way to have access to all your apps and websites. 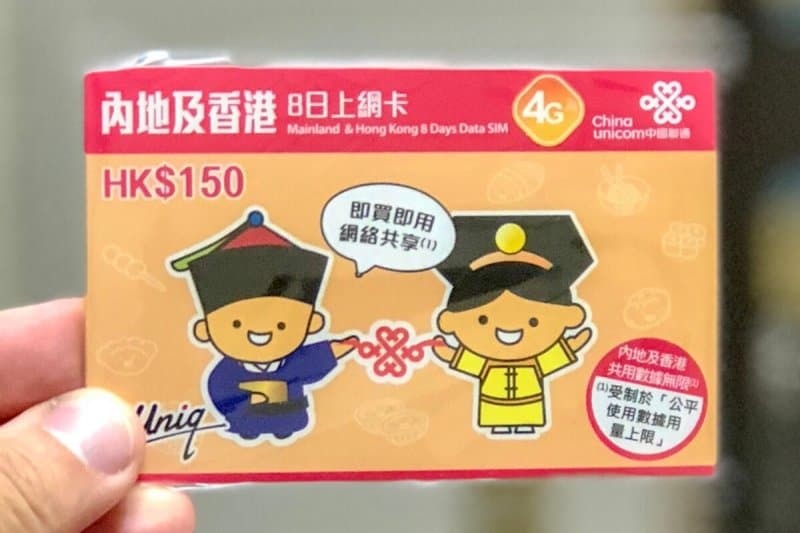 This 4G SIM Card works in both Hong Kong and Mainland China. I use this each time I visit Shanghai (that’s how I am able to post to Instagram while I’m there). A simple list of things to do, read, or buy before your trip. This makes planning things so much smoother. Pro Tip: You’re able to see the Shanghai Disneyland Park Map and ride wait times through the app. If you download ahead of time, you can study the map to become familiar with the Park and see wait time patterns. Read and watch my firsthand experience at Shanghai Disneyland through my written trip reports and vlogs. Without a doubt, Shanghai Disneyland is a must visit for any theme park fan. There’s more than enough in the Park to justify making the journey to this side of the world. While the Park isn’t perfect and has its issues, it’s exciting to watch this park grow and evolve in the short time it’s been open. I absolutely love this park and it holds a special place in my little Explorer heart. Once you visit, you’ll understand why. Visiting China sounds intimidating and you may be hesitant about visiting. Let me assure you that by following all the advice listed here, you’ll be more than prepared when you make your trip happen! You’ll be happy you did, trust me. Explorer Thoughts on Shanghai Disneyland? Do you have any more tips and advice to add? Let us know in the comments! 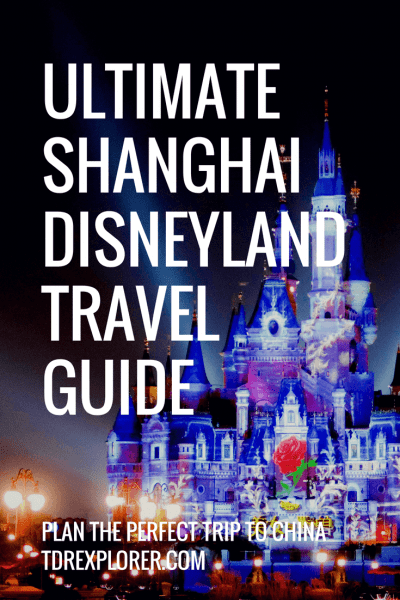 If Shanghai Disneyland is part of a larger Disney Asia Trip, then you won’t want to miss out other travel guides for Tokyo Disney Resort and Hong Kong Disneyland! If you found this guide useful, please share it on social media to get the word out. I’ve also included gorgeous images to pin to Pinterest. There is not yet a shuttle bus from Pudong to Disney, right? Did you feel safe taking a taxi or did you have any issues? I’ve heard some bad stories, but it seems that if you stick to the more reputable companies (apparently the turquoise and yellow taxis) and have your address written down in Chinese it should be fine? Thanks! From what I know, there is no shuttle. I felt fine taking taxis. Just ask the airport where to get one, and you will be OK. Coming from Disney to the Airport, they will know which taxi to get for you without issue. I never felt unsafe at any point. Yes, have your address in Mandarin and show it to them. Also make sure to ask the person who is calling the taxi for you to write down how much it is. Just lessens the chance of being over charged. Hello! I had a question about the 144-hour visa, which I’m not sure if you can answer. I’m a US citizen but I live in Japan, with a work visa. If I went from Tokyo to Hong Kong, then Hong Kong to Shanghai, then Shanghai to Tokyo, would Japan count as a “third country” making me eligible for the visa? Or would it not count because I have a visa for Japan and am a resident? Morning Sarah, I would phone the Chinese consulate in Tokyo to make sure as I am not 100% sure. But, when we went, they never asked for my resident card in Japan only my passport. So, my guess is it’s probably fine. But I would phone and ask if you want to be 100% sure. For foreign currency: I’ve found the best way (even after fees) is to use your debit card to withdraw local currency from an ATM. Also does not require advanced planning – though to minimize fees you still want to estimate how much currency you need. When using a Hong Kong SIM card, did you have to activate it while in HK? Looking at your trip report, it doesn’t look like you had a stop in HK first. I’ve heard some of the SIMs have to be activated in HK before they can be used. 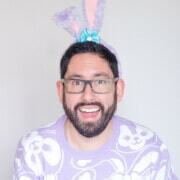 Just a hotel Question:- are they good with early check in’s – My Plane arrives at 9.25 am – but my check in isn’t till 15.00 – I’m heading straight to the hotel with my bags – I’d probably like a nap! what the likelihood of my room being ready/them allowing me to check in early? are Disney good for this? Hello!! Thank u so much for this guide! 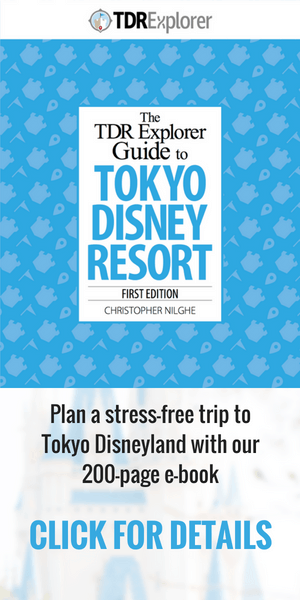 I went to tokyo disneyland/sea last year and relied heavily on your comprehensive guides! Needless to say my trips to both parks was a huge success!! Re shanghai disneyland, do they have popcorn like in tdr? I bought a cute ariel seashell bucket while at tokyo disneysea and am wondering if i should take it with me this year to shanghai. Hi there! Have you tried the photopass? 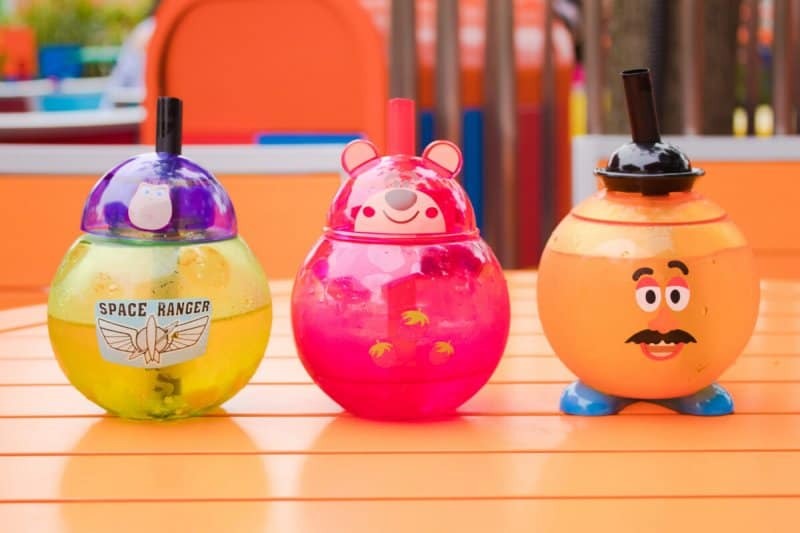 Do you think it’s worth purchasing at Shanghai or HK Disneyland? I’m interested in taking the Ego Bus, there isn’t much information in English online. Is there a specific route that goes to the Disney hotels? Hi, do you know what is actually happened when the park is open at 11am instead of 9am? – is it because on that day is forecasted will be very low guest coming? – what would i missed? – should i choose the dates with 9am park opened instead? Or 11am is fine? The travel sim you recommend only lasts for 7 days. Do I need to buy 3 if going for just over 3 weeks? Or is it renewable? Hey TDR Explorer, first off all, I love your content! Second i have questions about the Simcard you mention above. What is the size? I have a IPhone SE and need a nano simcard. Will this work? Klook no longer has meal vouchers for SDL 🙁 STILL I am excited for my first trip in two weeks! Thanks for all of your efforts and great tips!